All of you are glad to receive rewards before God and to become the object of His favor in His eyes. This is everyone’s wish after he begins to have faith in God, for man wholeheartedly strives for higher things and no one is willing to fall behind others. This is the way of man. 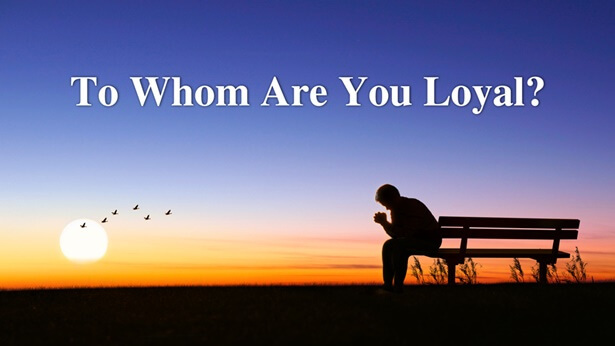 Precisely for this reason, many among you are constantly trying to curry the favor of the God in heaven, yet in truth, your loyalty and candor to God are far less than your loyalty and candor to yourselves. Why do I say this? Because I do not acknowledge your loyalty to God at all, and I further deny the existence of the God that exists in your hearts. That is to say, the God that you worship, the vague God that you admire, does not exist at all. The reason I can say this so definitively is that you are too far away from the true God. The reason why you have loyalty is due to the existence of an idol within your hearts, and as for Me, the God who appears as neither great nor small in your eyes, all you do is acknowledge Me with words. When I speak of your great distance from God, I am referring to how far away you are from the true God, while the vague God seems to be near at hand. When I say “not great,” it is in reference to how the God that you believe in this day appears to merely be a man without great abilities; a man that is not very lofty. And when I say “not small,” this means that, although this man cannot summon the wind and command the rain, He is nonetheless able to call upon the Spirit of God to do work that shakes the heavens and earth, leaving man completely confounded. Outwardly, you all appear to be very obedient to this Christ on earth, yet in substance you neither have faith in Him nor love Him. What I mean is that the one you truly have faith in is that vague God in your feelings, and the one you truly love is the God you yearn for night and day, yet have never seen in person. As for this Christ, your faith is merely fractional, and your love for Him is nothing. Faith means belief and trust; love means adoration and admiration in the heart, never parting. Yet your faith in and love of the Christ of today fall far short of this. When it comes to faith, how do you have faith in Him? When it comes to love, in what way do you love Him? You have simply no understanding of His disposition, still less do you know His substance, so how do you have faith in Him? Where is the reality of your faith in Him? How do you love Him? Where is the reality of your love for Him? Many have followed Me without hesitation to this day, and over these few years, you have all suffered much fatigue. I have thoroughly grasped the innate character and habits of each of you, and it has been supremely arduous to interact with you. The pity is that though I have got hold of much information about you, you have not the slightest understanding of Me. No wonder people say you got swindled by a man in a moment of confusion. Indeed, you understand nothing of My disposition, and much less can you fathom what is in My mind. Now your misunderstandings toward Me are an added insult to injury, and your faith in Me remains a confused faith. As opposed to saying that you have faith in Me, it would be more apt to say that you are all trying to curry My favor and fawn over Me. Your motives are very simple—whosoever can reward me I shall follow, and whosoever can enable me to escape the great disasters I shall believe in, whether he be God or any certain God. None of this is of any concern to me. There are many such men among you, and this condition is very serious. If, one day, a test is made to see how many among you have faith in Christ because you have insight into His substance, then I’m afraid that not one of you will be able to do as I wish. So it wouldn’t hurt for every one of you to consider this question: The God in which you have faith is vastly different from Me, and this being so, what then is the essence of your faith in God? The more you believe in your so-called God, the further away you stray from Me. What, then, is at the core of this issue? I am sure none of you have ever considered this issue, but has the gravity of this issue occurred to you? Have you given thought to the consequences of continuing with this form of belief? Now, the problems set before you are many, and none of you are adept at coming up with solutions. Should this continue, the only ones who stand to lose are yourselves. I will help you recognize the problems, but it rests on you to find the solutions. I very much appreciate those who harbor no suspicion about others and I also very much like those who readily accept the truth; to these two kinds of men I show great care, for in My eyes they are honest men. If you are very deceitful, then you will have a guarded heart and thoughts of suspicion regarding all matters and all men. For this reason, your faith in Me is built upon a foundation of suspicion. This manner of faith is one I shall never acknowledge. Lacking genuine faith, you will be even further from real love. And if you are able to doubt God and speculate about Him at will, then you are beyond doubt the most deceitful of men. You speculate whether God can be like man: unpardonably sinful, of petty character, devoid of fairness and reason, lacking a sense of justice, given to vicious, underhanded, and cunning tactics, as well as being pleased by evil and darkness, and so on. 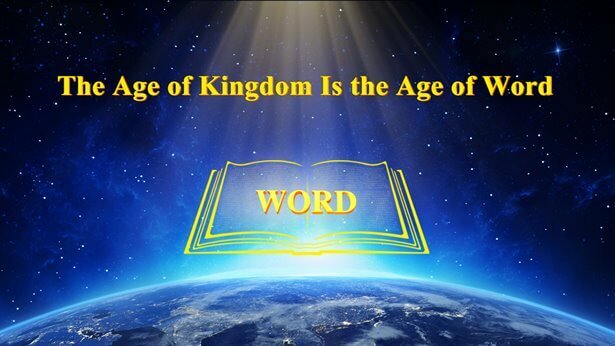 Is not the reason that man has such thoughts because man has not the slightest knowledge of God? This manner of faith is nothing short of sin! Moreover, there are even some who believe that the ones that please Me are none other than flatterers and sycophants, and that those lacking in these skills will be unwelcome and will lose their place in the house of God. Is this all the knowledge you have gleaned these many years? Is this what you have gained? And your knowledge of Me does not stop at these misunderstandings; even worse is your blasphemy against God’s Spirit and vilification of Heaven. This is why I say that such manner of faith as yours will only cause you to stray further from Me and be in greater opposition against Me. Throughout many years of work, you have seen many truths, but do you know what My ears have heard? How many among you are willing to accept the truth? You all believe that you are willing to pay the price for the truth, but how many have truly suffered for the truth? All that exists in your hearts is iniquity, and hence you believe that anyone, no matter who he may be, is deceitful and crooked. You even believe that God incarnate would, just like a normal man, be without a kind heart or a benevolent love. Even more, you believe that a noble character and a merciful, benevolent nature exist only within the God in heaven. And you believe that such a saint does not exist, and that only darkness and evil reign on earth, while God is something in which man lodges his longing for the good and beautiful, a legendary figure fabricated by man. In your minds, the God in heaven is very upright, righteous, and great, worthy of worship and admiration, but this God on earth is merely a substitute and instrument of the God in heaven. You believe this God cannot be equivalent to the God in heaven, much less be mentioned in the same breath as Him. When it comes to the greatness and honor of God, they belong to the glory of the God in heaven, but when it comes to the nature and the corruption of man, they are attributes in which the God on earth has a part. The God in heaven is forever lofty, while the God on earth is forever insignificant, weak, and incompetent. The God in heaven is not given to emotion, only righteousness, while the God on earth only has selfish motives and is without any fairness or reason. The God in heaven has not the slightest crookedness and is forever faithful, while the God on earth always has a dishonest side. The God in heaven loves man dearly, while the God on earth shows man inadequate care, even neglecting him entirely. This erroneous knowledge has long been kept within your hearts and may also be perpetuated onward in the future. You regard all deeds of Christ from the standpoint of the unrighteous and evaluate all His work, as well as His identity and substance, from the perspective of the wicked. You have made a grave mistake and done that which has never been done by those coming before you. That is, you only serve the lofty God in heaven with a crown upon His head and never attend to the God you regard as so insignificant as to be invisible to you. Is this not your sin? Is this not a classic example of your offense against the disposition of God? You worship the God in heaven. You adore lofty images and esteem those distinguished for their eloquence. You are gladly commanded by the God that fills your hands with riches, and greatly pine for the God who can fulfill your every desire. The only One you do not worship is this God who is not lofty; the only thing you hate is association with this God whom no man can regard highly. The only thing you are unwilling to do is to serve this God who has never given you a single penny, and the only One who is unable to make you yearn for Him is this unlovely God. This kind of God cannot enable you to broaden your horizons, to feel as if you have found a treasure, much less fulfill what you wish. Why, then, do you follow Him? Have you given thought to questions like this? What you do does not merely offend this Christ; even more importantly, it offends the God in heaven. This is not, I think, the purpose of your faith in God! You desire greatly for God to delight in you, yet you are very far away from God. What is the matter here? You accept only His words, but not His dealing or His pruning; even less are you able to accept His every arrangement, to have complete faith in Him. What, then, is the matter here? In the final analysis, your faith is an empty eggshell that can never give rise to a chick. For your faith has not brought you the truth or gained you life, but has instead brought you an illusory sense of sustenance and hope. Your purpose in believing in God is for the sake of this hope and sense of sustenance rather than for the truth and life. Therefore, I say that the course of your faith in God is none other than trying to curry the favor of God through servility and shamelessness, and can in no way be deemed a true faith. How can a chick appear from faith such as this? In other words, what fruit can this manner of faith bear? The purpose of your faith in God is to use God in order to fulfill your aims. Is this not further a fact of your offense against the disposition of God? You believe in the existence of the God in heaven but deny that of the God on earth. However, I do not approve your views. I commend only those men who keep their feet on the ground and serve the God on earth, but never those who never acknowledge the Christ who is on earth. No matter how loyal such men are to the God in heaven, in the end they will not escape My hand that punishes the wicked. These men are the wicked; they are the wicked ones who oppose God and have never gladly obeyed Christ. Of course, their number includes all those who do not know and, further, do not acknowledge Christ. You believe that you can act as you please toward Christ as long as you are loyal to the God in heaven. Wrong! Your ignorance of Christ is ignorance of the God in heaven. No matter how loyal you are to the God in heaven, it is merely empty talk and pretense, for the God on earth is not only instrumental in man receiving the truth and more profound knowledge, but even more instrumental in the condemnation of man and afterward in seizing the facts to punish the wicked. Have you understood the beneficial and harmful outcomes here? Have you experienced them? I wish for you one day soon to understand this truth: To know God, you must know not only the God in heaven but, even more importantly, the God on earth. Do not get your priorities confused or allow the secondary to supersede the principal. Only in this way can you truly build a good relationship with God, become closer to God, and bring your heart closer to Him. If you have been of the faith for many years and have long associated with Me, yet remain distant from Me, then I say it must be that you often offend the disposition of God, and your end will be very difficult to reckon. If the many years of association with Me have not only failed to change you into a person who has humanity and the truth, but rather ingrained your evil ways into your nature, and you not only have twice as many delusions of grandeur as before but your misunderstandings of Me have also multiplied, such that you come to regard Me as your little sidekick, then I say that your affliction is no longer skin deep but has penetrated into your very bones. All that remains is for you to wait for your funeral arrangements to be made. You need not beseech Me then to be your God, for you have committed a sin deserving of death, an unforgivable sin. Even if I could have mercy on you, the God in heaven will insist on taking your life, for your offense against the disposition of God is no ordinary problem, but one of a very grave nature. When the time comes, do not blame Me for not having informed you beforehand. It all comes back to this: When you associate with the Christ—the God on earth—as an ordinary man, that is, when you believe that this God is nothing but a man, it is then that you shall perish. This is My only admonishment to you all.